Live albums are in the vogue at the moment and Erja Lyytinen’s is one that will never gather dust as she transports you into the world of Elmore James and the blues that her skillful slide guitar when interpreting his work or delivering numbers she has written. The energy gained from the years of touring before setting down this capture of Erja and her band playing live is evident by the honed musicianship, immaculate timing and the pure joy of playing in front of an audience at the iconic 100 Club, London. 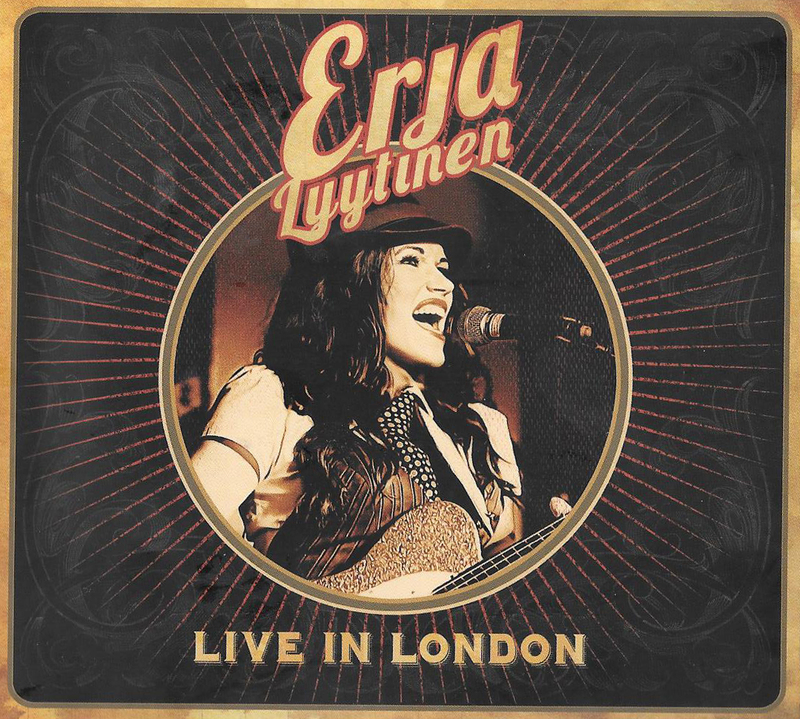 Opening, with a Fred McDowell number It’s a Blessing we hear just Erja’s vocals a cappella deep and full of emotion we hear a holler that is repeated by Miri and Roger and then the hard driven notes from the guitar draws the number to a close setting the scene for her live in London album. We hear the first of the four tracks that Erja was involved in writing, two of which are co-written by her long-time musical partner Davide Floreno. The guitar work on Let It Shine, is as you expect from the first lady of slide guitar outstanding with her vocals full of sultry warmth and promise pitch against the guitar adding colour and texture that draws you deep into the spellbinding performance. In the middle of the album we have a quartet of self-penned numbers Grip On The Blues, opens with a Hendrix, psychedelic overtone from the guitar and a rhythm section that is tighter than tight so the shape and format captures and tames the vocals of Erja. This is an interesting track showing the depth of the skills Erja the Finnish guitar can offer an audience. We hear a change of tone and tempo with a track that is lighter with Change of Season, and her voice is full of controlled emotions as she sings the lyrics that have a mesmerizing quality. Back to blues with a track has an energy that flows across the auditorium with Everything Is Fine, a track that shows the synergy between the whole band they are playing as one the guitar work has a bell-like quality then gets a little dirty; Erja is both the light and dark side of the blues. Finishing this section of the concert is Hold On Together; electrifying blues that just flows and sways with the beat laid down by the rhythm section, thus Erja can take the reins and play and deliver the track with freedom that brings a warmth to her blues. Back to Elmore James for the last three tracks, with The Sky Is Crying, Erja captures the tone and mood of this song so well and the drumming from Miri Mittinen is as ever hits the beat so that the guitar can have the support it needs to slip slide away. Closing with an eleven minute rendition of a full on spring cleaning version of Dust My Broom, and cobwebs will be cleared away with her steaming slide and soaring vocals, the bass line is delivered with purpose by Roger Inniss, the silence falls and deepens for the guitar lead break that goes quieter and quieter and the intensity just grows no wonder the audience goes wow.. this certainly hits the blues spot and a fitting closing number for this recorded concert.